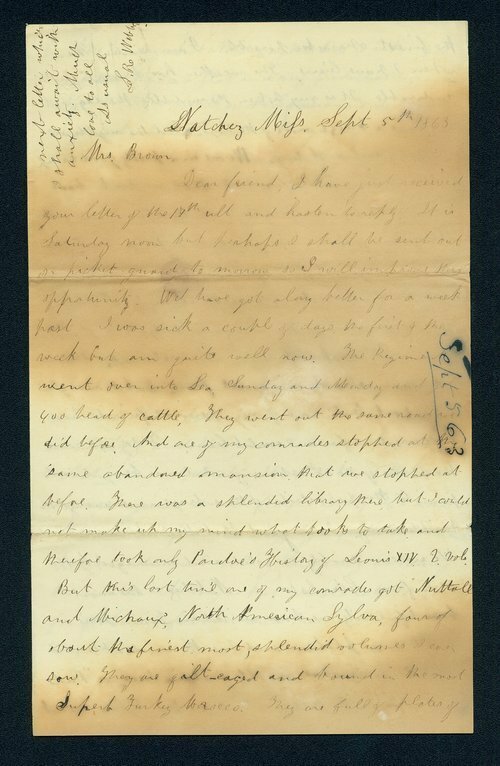 A letter written by Leigh R. Webber from Natchez, Mississippi, addressed to Mrs. Brown, wife of John Stillman Brown, a Unitarian minister who lived west of Lawrence, Kansas. Webber discusses reading accounts of the raid on Lawrence in the Cincinnati newspapers. He also describes camp life in Natchez, and shares a rumor that the troops may soon go to Kansas.